Bad credit habits can have a negative effect on your entire life. Learn the behaviors that drag down credit scores, put your financial future at risk, and how to reverse course. Bad credit habits are easy to fall into. It only takes one foolish impulse purchase (and the instant gratification feeling that comes with it), for example, to begin a reckless pattern of spending. And before you know it, you're stuck in a debt rut. Often, our biggest credit headaches come from small moments that snowball. 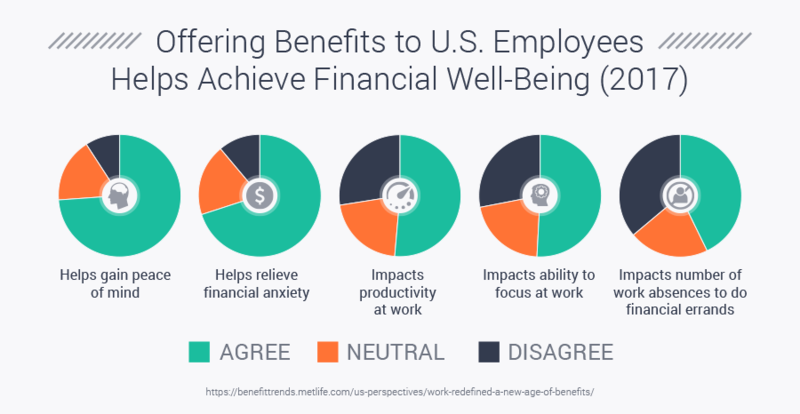 That's why stopping to gain insight into your behavior and taking back control of your credit can improve your finances and lifestyle overall. Not understanding the impact of everyday plastic behaviors is one of the biggest pitfalls. Credit shouldn't be used as a shortcut to getting the things you want without saving up, nor should it be used to cover emergencies. When used wisely, credit cards are simply a tool of convenience for when you actually have a real cash stash to pay for your purchases. And, if you reach the level of top credit users, you can even start to profit from your responsible credit habits. A more expensive mortgage. One report by CFED estimates that those with subprime credit will pay about $33,000 more over a 30-year mortgage than those with prime credit. Auto insurance increases. Other research found that those with poor credit pay more than double in car insurance premiums compared to those with excellent credit. Relationship woes. It can also wreak havoc on your love life (33% of unhappy couples argue about money at least once a week, compared with just 15% of happy couples), says TD Bank. Stress and bad health. And Duke University researchers even found a strong relationship between low credit scores and poor cardiovascular health. The good news is that your current credit status is not set in stone. Once you begin recognizing which credit habits are causing you the most harm, you can work toward breaking them. This guide will examine the five key credit habits that hold many consumers back. You might think you have a handle on your bills because you pay on time, but if you're only paying the minimum due, you'll never get off the hamster wheel of debt. Compound interest works against you. Minimum payments don't help you get out of debt. If anything, they're a trick by issuers to keep you in debt. Using our cost of debt calculator you can see how much extra you'll pay in interest if you only make minimum payments. High balances could mess up your credit score. The second biggest factor influencing your credit score is your utilization, or how much of your available credit is being used. So if you have a $5,000 credit limit and you owe $4,000, that means you're utilizing 80% of your credit. "People with high levels of utilization tend to have lower credit scores because they are willing to engage in risky behavior," says personal finance expert Nick Clements. Aim to pay as much as you can on your bills until you reach zero. That may involve some sacrifices to secure extra funds to put towards your goal as well as using cash windfalls (like your tax return) to knock out bigger chunks. Remove recurring charges if you carry a balance. "If you're not paying off your full balance each month, the interest you will be charged makes those monthly bills even more expensive," explains Allison Martin of MoneyTalkNews.com. You're better off using your checking account for other bills, so your bigger payments can actually have an impact. Get your utilization as low as possible. As you lower your balances, your credit score will improve. "The average 800+ FICO achiever uses just 4% of their overall revolving credit limit, with no more than 10% of any single credit line used," points at Matthew Frankel at The Motley Fool. In other words, use–but don't abuse–your credit limits. Paying more than the minimum works, as Adrienne Dorison, a personal finance writer who conquered $48,000 of student loan debt in less than a year, can attest. "I started putting as much money as possible toward the debt repayment each month, and I was finally able to start paying it off faster than the interest accrued," she says. Once you ignore the minimum payment suggestion and pay more, you will accelerate your progress. You might think: "What's the big deal if I miss a payment here and there? I'm only human." But being careless about your bill deadlines can hurt you. Payment history is the biggest factor that affects your credit score (accounting for 35% of it), so being 30 days or more past due even once can drop you down a big notch. 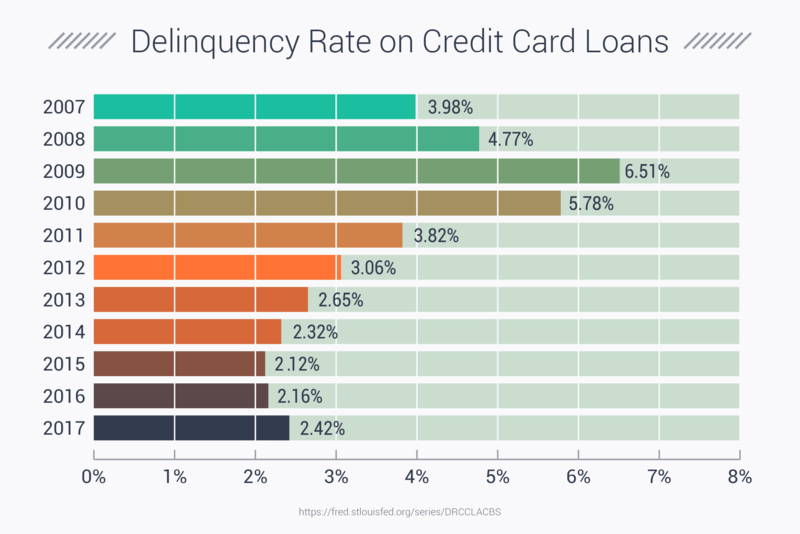 "It's important to know that the first instance of negative payment information will cause the most severe drop in the score," according to the VantageScore blog. Not only does your credit take a hit when you're late, but you'll typically incur a hefty fee somewhere in the $25-$39 range. Even worse, a missed payment sometimes disqualifies you from receiving promotional perks like a low introductory interest rate, or it could void any rewards points or miles you've accumulated. "If you miss a payment (even just one) on one of your credit accounts, the late payment could remain on your credit report for up to seven years," explains Equifax, one of the three major credit bureaus. And since prospective landlords, employers, loan officers, and insurance companies run credit checks on new and existing customers, the negative mark can hurt your application, or trigger an increased interest rate or premium on existing accounts. Set up automatic payments on all your accounts. This fail-safe system will cover you if you lose track of the calendar (just make sure you have available funds in your checking account). Of course, you should plan to follow up with an additional payment at some point since you want to pay more than the minimum (see above). Sign up for text/email alerts. Practically all creditors allow you to request notifications via their websites or apps. Or, you can create your own reminders right on your digital or paper calendar. Reach out to creditors if you're in over your head. If you've hit a rough patch and honestly can't afford a payment, call your credit companies directly to try to work out a solution. At the very least, they may agree not to report your account as past due to the credit reporting bureaus. A consistent, responsible payment history is ultimately the best credit habit you can cultivate. "The longer you pay your bills on time after being late, the more your FICO Scores should increase. Older credit problems count for less, so poor credit performance won't haunt you forever," according to the MyFICO.com blog. 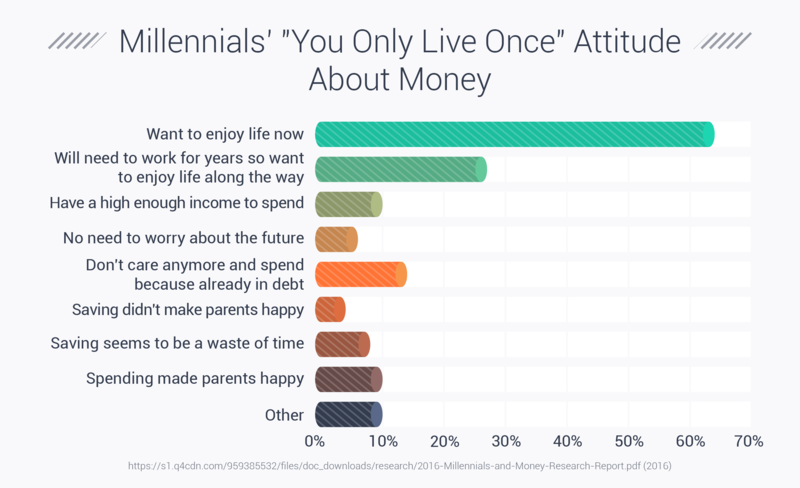 If you let "you only live once" (YOLO) and "fear of missing out" (FOMO) notions drive your spending decisions, you'll always be behind on your finances. 6 in 10 Americans don't have $500 set aside for emergencies, says a CNN report. In at least some of those cases, it's because every last penny is being used for designer handbags and expensive birthday parties. Accepting that debt is inevitable. 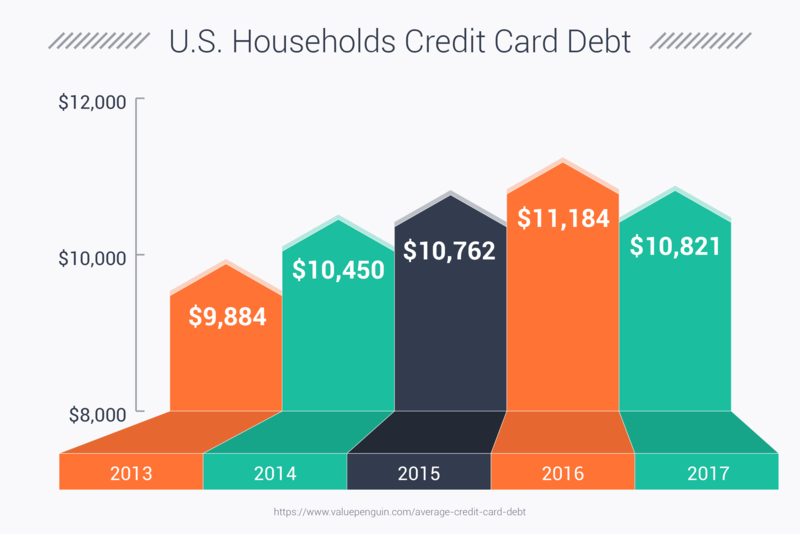 Credit card debt has risen from $659 billion in 2014 to $746 billion in 2016, according to data from the New York Federal Reserve. But just because other people accept that debt is normal, you don't have to, says Michelle Schroeder-Gardner, blogger at Making Sense of Cents. "Instead of paying off their car and keeping it for years, many people will upgrade once their car payment is done," she writes. Track your spending for 30 days (either on a spreadsheet, or using an app like Mint). That will give you a sense of how much you're spending on food, entertainment, and leisure—it can be eye-opening to see where your hard-earned dollars are going! Go through your budget line-by-line to determine when you overspent, and identify ways you can lower your expenses going forward. Use extra funds for more practical goals. Start by eliminating debt, building a savings cushion, and investing in your future. As finance guru Dave Ramsay says, "The Joneses have a leased BMW, an underwater mortgage, and an unwelcome visitor named Sallie Mae living in their basement. The Joneses are the most broke people in your neighborhood." Once you realize that Instagrammed vacations don't tell the full story, you can feel better about embracing frugality. How can you correct bad credit habits if you don't have a clear picture of where you stand? 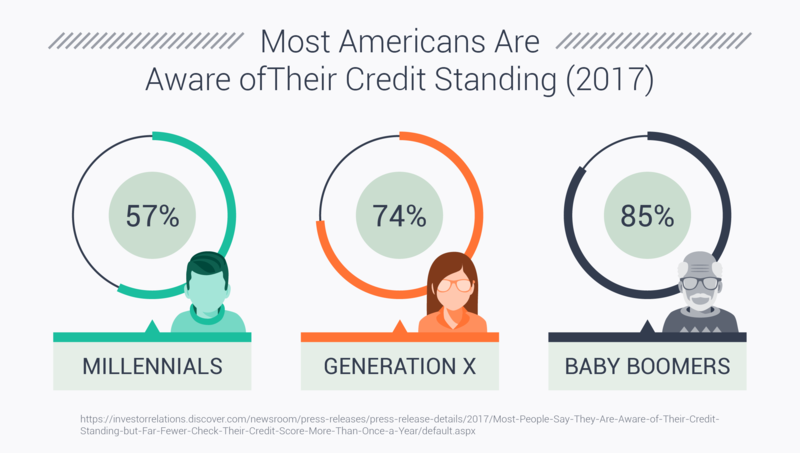 A 2016 survey reported by Motley Fool found that 34% of Americans–or 83 million people–have never checked their credit report. Mistakes could be dragging down your credit score. If you're like 1 in 5 people, there could be a mistake on your credit report, according to the FTC. And in 5% of the cases, those errors are having a negative impact. You could become an identity theft victim. The 2017 Identity Fraud Study, released by Javelin Strategy & Research, found that $16 billion was stolen from 15.4 million U.S. consumers in 2016. If you monitor your credit reports, you can quickly spot if someone is trying to open (or has opened) financial accounts in your name. Pull your credit. You're entitled to a free credit report each year from all three credit bureaus (Equifax, Experian, and TransUnion) via AnnualCreditReport.com. Some experts recommend requesting one every four months for more frequent monitoring. Then, if you spot any errors, you can follow the directions for filing a dispute on any of the bureau websites. Take advantage of free credit scores. Many credit card issuers offer free credit scores for their cardholders these days, so take advantage. A sudden drop in score could be a sign of identity theft, or erroneous reporting, according to Experian. Or, it could be the result of something you did, like opening a new account or maxing out a card. Either way, it's best to be aware of what's behind score fluctuations. Figure out which areas of your credit need improvement. Credit reports and score reports are chock-full of information about your payment history and how many accounts you have open. They can also act as a wake-up call. "Checking it regularly is a way to keep yourself accountable and see if you need to make any improvements in your credit habits," says personal finance writer Amy Cook. According to a survey by Discover, 70% of those who checked their credit score an average of once per month say that doing so had a positive impact on their credit behavior. Or put another way, knowing is half the battle. By being in the know about your credit status, you can be proactive about improving it. Check out this step-by-step guide to improving your credit with zero mistakes. If you've got a wallet full of plastic, it could be a sign that you're an impulse credit applicant who's easily wooed by the multitude of offers hitting your mailbox. Although there is no magic number of credit cards one should have, if you are having difficulty managing your accounts (i.e., you carry balances or miss payments), you are probably in over your head. Too many inquiries in a short span might be a red flag. For instance, writer Jordan Wathen says to be especially careful if you're in the market for a home. "Avoid opening a new credit account six months to one year before applying for a mortgage," he writes. You don't want to give a lender any reason to think you have a cash flow problem. You might get burned after accepting the 15% discount. Retailers that offer an up-front deal to entice you into applying for the store card don't tell you about the awful terms and super-high interest rates that follow. The first time you fail to pay your bill in full, you'll likely spend more on finance charges than you saved. You could become a points chaser—a whole new bad habit. "Because credit cards offer you rewards for your spending, it's very easy for some people to spend more just to earn rewards," says personal finance expert Jason Steele. If you're in the market for a new credit card, you'll find there are cards to match nearly every spending style and financial situation—even if you don't have great credit or are just starting out. Start by asking yourself: What's my spending style? Would you benefit from travel perks, or do you do most of your credit spending in grocery stores and gas stations? Will I carry a balance? What shape is my credit in right now? Next, choose the right card category for you (i.e., cashback, low interest, travel rewards, etc. ), and compare cards by interest rates, fees, and rewards potential. Make an effort to maximize the cards that benefit you most–and pay the bills in full! Re-evaluate your wallet and credit standing once per year. If your lifestyle changes or your credit improves, there might be programs better suited for you. To borrow a slogan from one famous creditor, "What's in your wallet? "really does matter. Choosing the right credit cards can provide perks and benefits but only if you use them responsibly. Think about which of the five habits you're doing on a day-to-day basis and which one you're going to stop first. Gaining a handle on how your credit behavior impacts your life. Yes, your swipes do matter, and now that you understand that, you can make better choices. Getting rewarded, instead of penalized by your creditors. Why should card companies and banks get more of your hard-earned dollars? Instead, aim to live a debt-free lifestyle and start profiting from strategic spending. Re-evaluating what's important in life. Material things and luxury experiences are not worth a lifetime of debt. Knowing that your family's needs are met without the burden of financial stress is much more valuable. Do you know any other bad credit habits we've missed? Let everyone know in the comments below!